A MAN dressed as comic book hero Superman has robbed two stores. 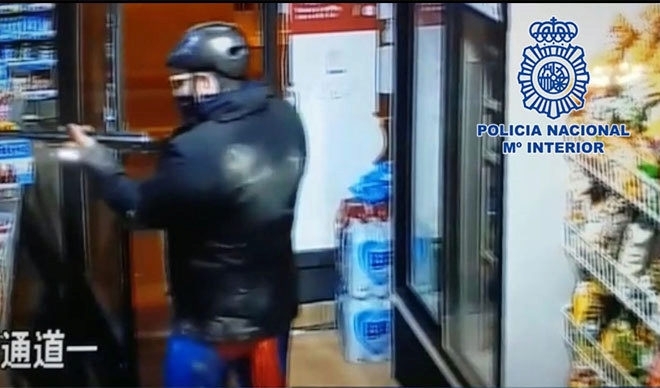 For some unexplained reason the man thought it would be a good idea to dress up as the legendary crime fighter while he held up two Chinese food stores in Javali Nuevo and La Nora in Murcia. But the effect of the famously striking blue, red and yellow outfit was spoiled by him covering it over with a black body warmer, while a cycling helmet and dark glasses completed the ensemble to comic effect. There was nothing funny about the double barreled shotgun he brandished as he demanded cash during the robberies, although one child on the scene did ask the robber if the gun was real. Back came the reply “do you want to find out” at which point the terrified youngster fled the scene.